Ah, the goodness of butter from fresh milk. You rich, creamy goodness you. Full of healthy, saturated fats, creaminess for days and a mild flavor that goes so well spread thick on muffins or bread and even melted on a steak. What would I do without your fluffy, yellow emulsion? It’s so easy to add herbs, cheese or even plain salt to you and you take it all in. You can even flavor coffee, gravies, and soups. Oh, butter, is there anything you CAN’T do? I can’t imagine a world without butter, nor do I want to. 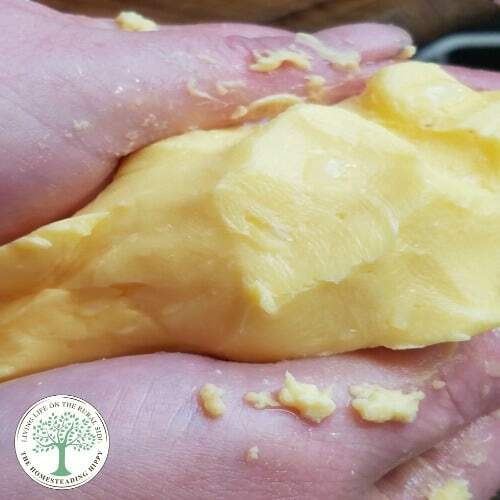 Raw milk, and processed milk butter have a long history, going back thousands of years to when our ancestors first became herdsmen. Sometime in the late 1970’s to early 1980’s, butter was labeled evil. It was said that butter could cause heart disease, obesity and raise your cholesterol. Margarine came onto the scene to “save us all” from that terrible fat. People ran away from a product that had been consumed for thousands of years in favor of a “healthier” food. Fortunately, milk butter (dairy) is making a full comeback as the healthy food it has always been. Now that people are starting to eat more and more butter, the demand for dairy has gone up. Some farmers are turning to modern methods of farming such as adding more cows in less space (cafo), or feeding cows unnatural hormones to make the cows produce more milk and cream. Having more cows in less space also means that there can be an overuse of antibiotics to keep them healthy. 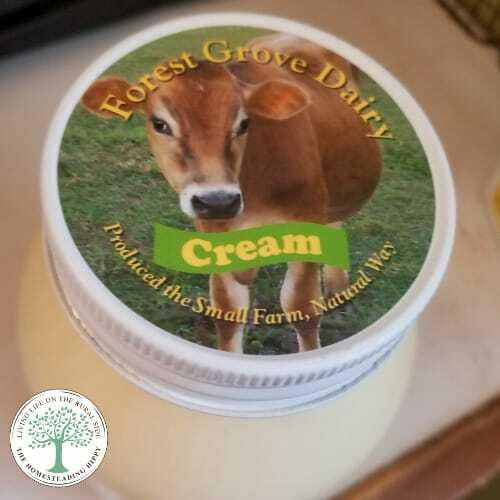 Cream is fat, and most often, the toxins in a cows diet can be concentrated in the fat. 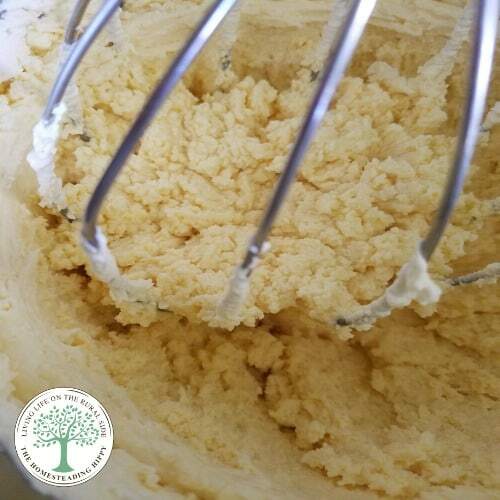 Cream makes butter, so the butter gets the highest concentrations of toxins. As many are coming to realize, the healthiest type of milk is actually no processed milk, RAW milk straight from the cow. Yes, under the proper care conditions of the animal, raw milk is a good wholesome food. (source)The cows MUST be well taken care of, get plenty of sunshine and grass, and be free of fever or other disease. With a healthy cow, comes healthy, raw milk. Get the facts about milk , and the benefits of milk, here. Fortunately, you CAN make your own butter, from the cream of the milk right at home. With either raw milk cream from a local dairy, or cream you buy at the store. That is all it takes…cream from the milk. Maybe a bit of salt, if you like that. Or not. Your choice. 10 minutes, a pint or quart of cream, and you have a mound of creamy goodness that is equal to none. Enjoy the beautiful creamy thickness. Pour the cold cream into a mixing bowl. 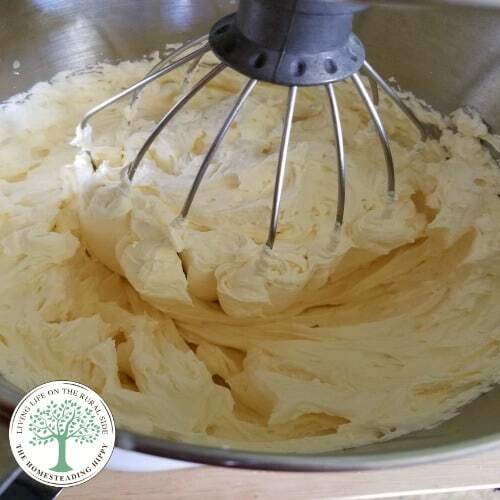 If you want "cultured" butter, use RAW cream and allow it to come to room temperature. That has a tangy, sour flavor versus the sweeter flavor of sweet cream. Set the whipping attachment and turn on low. Don't turn on high right away, or the cream can "fly" out of the bowl. After approximately 2 minutes, the cream will become whipped cream. At this point, you need to grab a spoon and spoon some of this goodness onto some berries. Or just eat. Continue to whip the cream, turning the speed up a notch. After approximately 2 more minutes, the cream will start to separate. You will start to see chunks of butter that are a dark yellow. Continue to whip until all the cream has turned. You'll notice that the buttermilk and butter are completely separated and all the cream is turned. 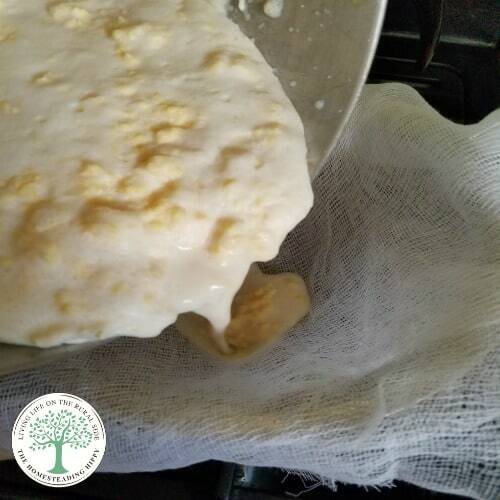 Carefully pour the butter into a filter covered with cheesecloth. You want to save all the buttermilk for pancakes or even drinking plain. Gently squeeze the butter to remove as much buttermilk as you can. Rinse the butter in cool running water, spreading it out a bit with a wooden spoon. Gently squeeze the buttermilk out as you rinse. It's at this point I use clean hands to get the job done. Continue to rinse and squeeze until all the liquid that comes off the butter is clear. 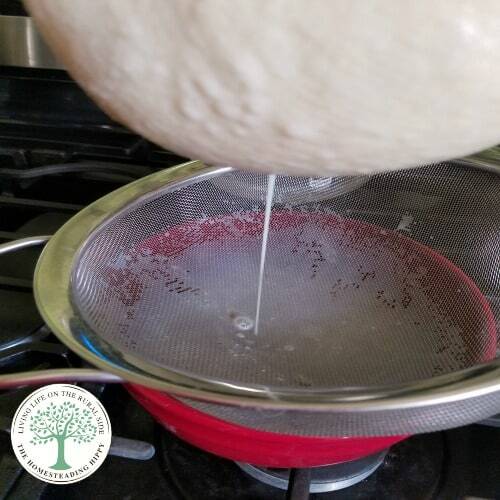 You want to be sure to remove ALL the buttermilk you can to prevent quick spoilage. Salt with a 1/2 teaspoon of salt and mix in well, if desired. You can pat into a butter mold if you desire, or just form into a freestyle shape. Enjoy your butter, and store covered. I put mine in the fridge, but you CAN leave this on the counter. It says to rinse and continue to remove the buttermilk, what is it rinsed with? rinsed with water. I’ll make sure to clarify that. This is awesome. As a child, I watched my granny churn butter. I even helped her sometimes. However, she sure didn’t have an electric mixer with attachments but she would have loved them! I miss those days with my great grandmother, too! After you have squeezed out all the buttermilk and began to rinse with water you throw the watered down buttermilk away? I know I sound stupid but you wouldn’t save the watered down part would you? not the watered down buttermilk, but the buttermilk from the FIRST straining. When l was a little girl, my grandma made her own butter. I got to churn not for long, l thought it was really hard work. She sold her butter to make a little extra money. Boy, those are wonderful memories. Thanks for sharing your recipe.??? I miss my Grandmother and those days of watching her churn butter by hand. How simple life was back then, right? I am so happy you have such happy memories, too!